This is my entry for the (Jack Nicholson) Here's Jack Blogathon hosted by Realweegiemidget Reviews. 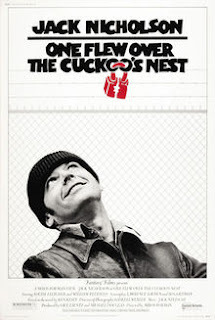 Ken Kesey wrote the novel One Flew Over the Cuckoo's Nest in 1962 and it was adapted first as a stage play. Interestingly, Kirk Douglas originally played McMurphy on stage and tried for years to get a studio to back a film production. (He owned the rights.) By the time it finally got a rd light, Kirk was already to old to play the part (he wasn't too old in the stage play??) He gave the project to his son, Michael, who with Saul Zaentz, finally was able to get a green light. 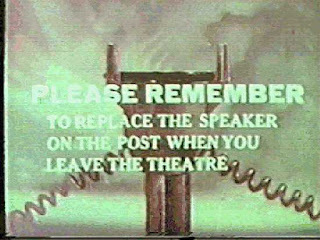 According to the commentary on my DVD, they were pressured to film on a sound stage in Hollywood, but the makers insisted on verisimilitude. They sought out a real mental hospital to film the movie. But most hospitals viewed the context of the story as casting a negative shadow on the hospital and refused. Dr. Dean Brooks, however, head of a hospital in Oregon agreed to let the film crew on the grounds. One of his stipulations was that some of the patients be used in the production, as he felt it would have a beneficial effect. A few of the background patients, therefore, are real mental patients, although all of the central characters are actors. Jack plays an amoral character (big surprise? 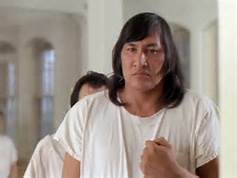 ), R. P. McMurphy, a convict who has managed to wangle his way out of the work detail at the regular prison by pretending to be insane enough to be sent to a mental institution. Of course, little does he know, this isn't just an easy out from the work detail. He is wholly at the mercy of the staff at the mental hospital, namely in the person of Nurse Ratched. 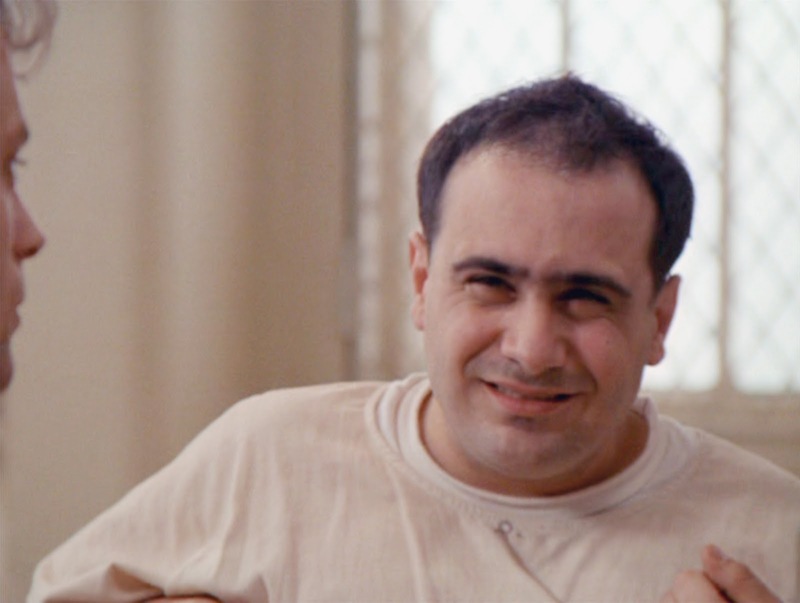 But McMurphy has a few cards up his sleeve ( with the requisite photographs of naked women replacing the spades and clubs...) His appearance on the scene at the mental institution is remarkable on several levels. For one, McMurphy is a guy who is domineering over the women in his life. 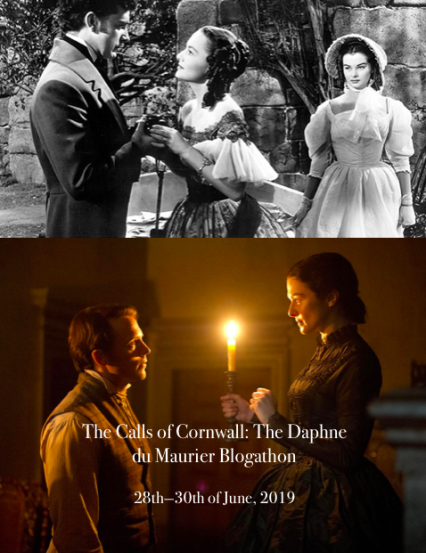 Although it is condensed in the film to only a couple of the major characters, in the book each patient has a problem with women, letting them be the domineering aspect of their lives. Thus McMurphy is a savior of sorts. 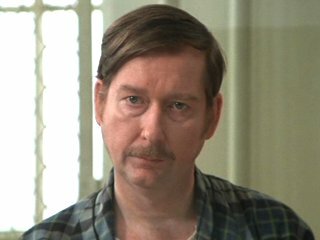 In Kesey's novel, the main character and viewpoint of the entire novel is the Chief (here played by Will Samson). The film doesn't delve into the background of the Chief, but the book indicates that his mother, a white woman, ended up basicaly emasculating his father, a powerful chieftain in his tribe. 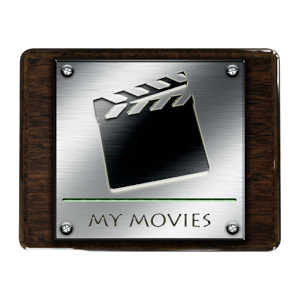 The main characters in the movie on whom we are educated to their backgrounds also have some problem with finding the wherewithal to overcome the women in their life. 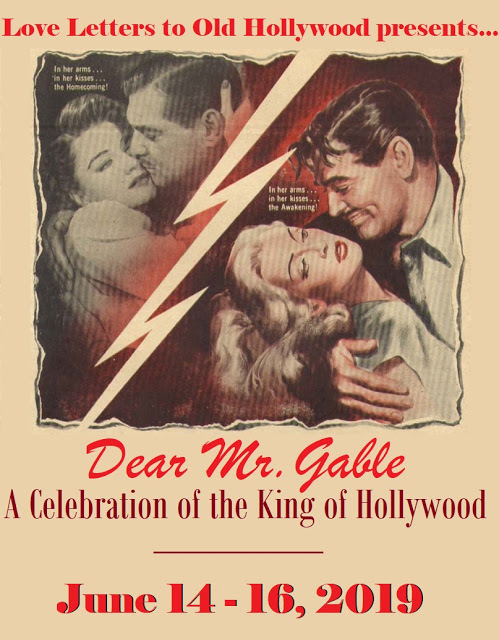 Harding (William Redfield) has a philandering (or so he thinks) wife who belittles him. Billy Bibbitt (Brad Dourif) is wholly under his mother's thumb. Charlie Cheswick is obviously a momma's boy who never grew up. Each of these patients is further emasculated by the evil Nurse Ratched (Louise Fletcher), who uses their individual psychoses to further dominate them. Enter R.P. McMurphy. Here is a guy who is fully entrenched in his macho male dominant personality. He is confused and frustrated that these other men willingly allow Nurse Ratched to keep them under her thumb. 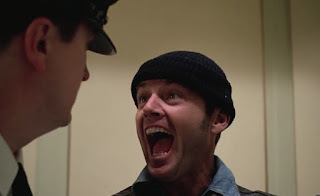 McMurphy is not the gallant savior, completely, however. He sees no problem with bilking his fellow patients out of their cigarettes and money in illicit gambling stakes. But it is apparent that he has a "duty" to free the men from the domineering strictures represented by the Big Nurse. Mc Murphy even makes a bet with his fellow patients that inside of a week he can get the Nurse to come out of her placid shell and become a raving harridan. Since none of the others have ever seen her anything but stolid and peaceful, they jump on the bandwagon to take his bet. 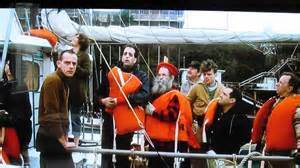 McMurphy then proceeds to push at the buttons to try to get the Nurse on an uneven keel. And, of course, he does win his bet. Meanwhile the governing directors, doctors and assorted other heads of the institution are increasingly suspicious of McMurphy (i.e. is he really crazy or just faking it to get out of the prison farm? Of course, you and I know the answer, but the docs still question it.) 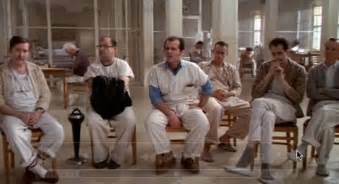 After an incident where McMurphy hijacks the hospital bus and takes the inmates on a ocean fishing expedition, the docs are ready to give up on him, but Nurse Ratched still believes she can dominate him in some way and convinces the rest of the committee to let her keep him on the ward. Attempts at electro-shock therapy have no real effect on the outlaw. 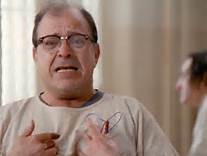 Finally after several weeks, McMurphy finds out that he is a permanent patient on the ward, and is wholly at the mercy of the doctors and Nurse Ratched as to when he will be released. (He thought he'd just finish out his prison term in this easier place and be released...) He also finds out that most of his fellow inmates are "voluntary" and can go any time they feel like it. This sends him over the edge and he realizes his only hope is to escape. A send off party is planned on the night of his escape, and with the reluctant help of the night guard, Mr. Turkel (Scatman Crothers), McMurphy sneaks two hookers and a cache of booze on the ward. He helps, with the assistance of Candy (Marya Small), one of the hookers, to get Billy to no longer be a virgin. But his plan to escape goes awry as he passes out and is still on the premises the next morning when the Big Nurse comes on duty. 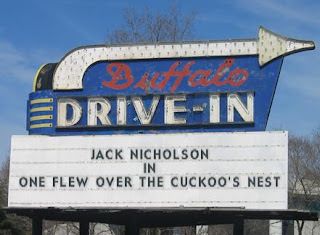 Nicholson as McMurphy is one of the most iconic characters in movie history. And despite his rather insidious and criminal attitudes, paired up against Nurse Ratched, he becomes sort of a folk hero. Something of a Christ-like character comes into play here. (And before you religious people get up in arms, I am not even remotely comparing McMurphy's personality to that of the Christian deity.) How I view the character though, is that McMurphy comes down (from the clouds, so to speak), to help the patients who are wholly deceived by the evil Big Nurse and women in general. And as a result of his efforts, some of those patients do overcome their own deficiencies to become better men. Nicholson finally won his first Oscar (after four previous noms) for his role in this movie. He also won several other prestigious awards including a BAFTA, a Golden Globe and a Film Critics Award. In my opinion, Nicholson became the epitome of the macho male in film with this performance, and later portrayals owe at least a debt of gratitude to his performance. Always a pleasure to join these blogathons. Thanks for reading. Would you believe I watched this for the first time just a few years ago! Such an amazing movie. Great write up. Like a number of movies from the 70's, ones I was too young to see in the theater, I first encountered it by reading the Mad Magazine parody of the movie. Then I went to the library and checked out the novel. I finally saw the film on cable sometime in the early 80's. I think it's Nicholson's best movie, but only by a few inches, because I absolutely loved "The Last Detail" (one I'm still seeking on DVD, but I saw on cable around the same time.) Thanks for reading. I did not know much of anything about this movie (except having heard of Nurse Ratched), but it sounds fascinating. Really enjoyed your review of this film and learned a lot! Nurse Ratched has popped up as the villain in at least one blogathon. I can't quite fathom her as a "villain" but she is suitably evil on at least one level, keeping the men on her ward under her thumb. Thanks for reading. Great review of a true classic! 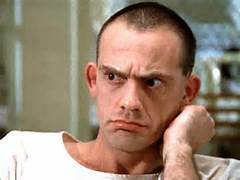 I find your comments on Nurse Ratched very interesting. 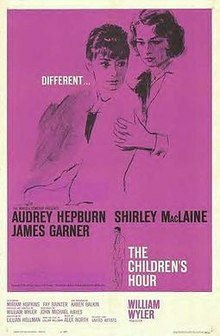 As I was watching this for the first time the other day I expected her to be the devil incarnate due to what I had heard over the years, but I did not find her to be that at all. Maybe a bit stuck in her ways and afraid to deviate from the normal course, but not truly evil as I expected. Her character was definitely one of the bigger surprises of the film for me. Not what I expected at all. 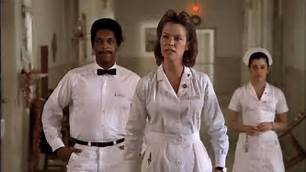 The Big Nurse is much more a classic villain in the novel, but you have to realize there that it is the Chief's view of the nurse that is depicted. I think I want to read the book after reading your review. The movie is very powerful – I will never forget that ending – but the book sounds just as haunting. Jack Nicholson is perfectly cast in this film. I believe he really is McMurphy. There's stuff in the book they left out of the movie. Since it is told from the point of view of the Chief, and is in essence the story of his transformation at the hands of McMurphy, you'll get a different perspective. There is a fantastic first confrontation between the rest of the patients and McMurphy when he first arrives that I miss not being in the movie, but I can understand the need to distill it. Hope you read the book after all. Thanks for reading.